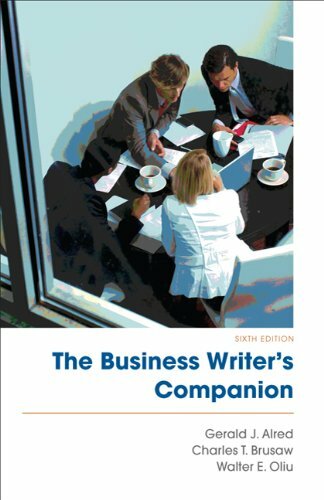 The Business Writer's Companionis an easy-access guide to the most common types of business writing and communication by a dedicated author team with decades of combined academic and professional experience. It places writing in a real-world context with hundreds of business writing topics and more than 60 sample documents. Always anticipating the needs of today's business writers, the sixth edition includes updated information on the technologies that are integral to workplace writing and offers tips about professionalism.